Congratulations to the authors, translators and publishers shortlisted for this year’s Man Booker International Prize. The Man Booker International Prize is awarded every year for a single book, which is translated into English and published in the UK. The work of translators is equally rewarded, with the £50,000 prize divided between the author and the translator of the winning entry. In addition, each shortlisted author and translator will receive £1,000. The winner of the 2019 Man Booker International Prize will be announced on 21 May. Find out more about the prize, and this year’s shortlisted titles, here. Celestial Bodies is a coiled spring of a novel, telling of Oman's coming-of-age through the prism of one family's losses and loves. The Pine Islands is a serene, playful, profoundly moving story of the transformations we seek and the ones we find along the way. A subversive, entertaining noir novel from the winner of the 2018 Man Booker Prize. 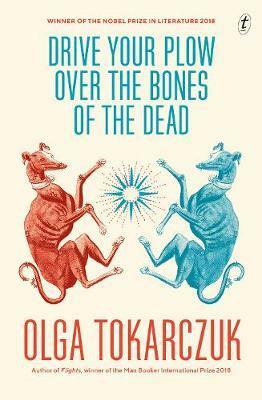 Intense, intelligent, and extraordinarily sensitive to the shape and weight of words, this remarkable debut presents a new way to count the cost of a pain that stretches across generations.